to the Beulah Wines website. 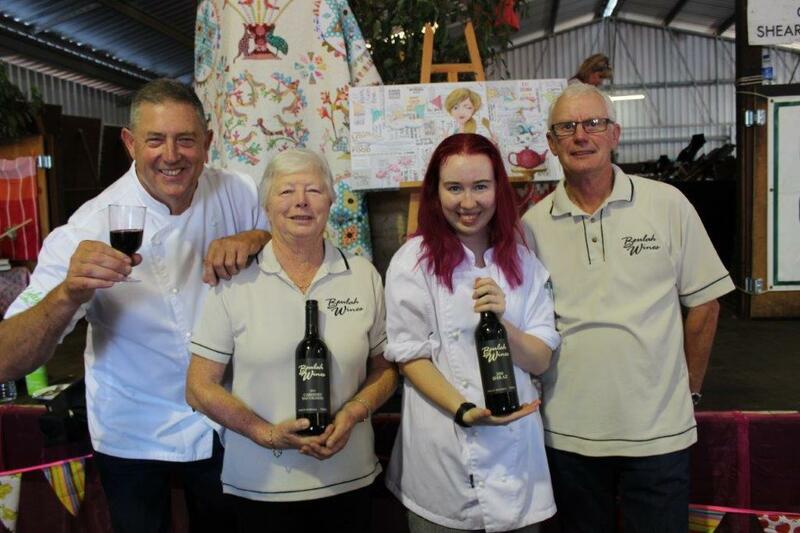 Beulah Wines is a small, family operated vineyard located in Boyup Brook in the stunning Blackwood Valley Wine Region of Western Australia, producing premium, award winning wines. We sponsored the annual Loving Cup on February 9 and will donate prizes for the Open Tournament on March 2 and 3 when the Club welcomes over 120 players to enjoy a fantastic weekend of tennis. Join us again at the annual Women's Day to enjoy a glass of Beulah Wine with lunch on March 15! Held in conjunction with the 2019 Boyup Brook Country Music Festival, the Art Awards was opened on the evening of February 13, with Beulah Wines providing wine for the event. The exhibition was a great success and congratulations to Ann Miller who won first prize in the Mixed Media category, sponsored by Beulah Wines. Boyup Brook hosted the Lexus Melbourne Cup on its journey to Flemington for that first Tuesday in November, as part of the Upper Blackwood Agricultural Society's 100th Show on Nov 6. Beulah Wines supplied wine at the evening function and sponsored a race in the 'fun' race night. Beulah Wines donated wine packs for the annual St Mary's primary school auction.